A company with a 100 CEOs can do anything. Amazon appears to be a unique success when it comes to not just the success it has achieved but the diversity of businesses it has succeeded in — from online retail to web services, and the march continues into many, many new lines of business. Almost every large, successful company struggles with growing beyond its core business. Oracle is great at selling software, Salesforce is great at cloud CRM, Apple is great at selling devices and they do an okay to good job of selling products and services that are complimentary — often through the exact same distribution channel. The constraint is senior leadership bandwidth. If your CEO and executive leadership of the company need to be bought in before you can execute, as a business leader you have to now convince leaders who have great instincts for say a retail or ad business to grok an entirely new business model. This is not easy. Most companies fail here. Google is a great example — it’s done a great job of winning the online search market and almost anything that can be monetized using the same business model — ads. But when it tries to get into new businesses like grocery delivery, selling phones (Motorola & now Pixel), robots that walk, cars that drive themselves — it often appears to struggle on the goto-market and business side. Where it sets up clear business units with leaders it does well, YouTube under Susan Wojcicki being a great example. What makes Amazon succeed where others struggle so hard? 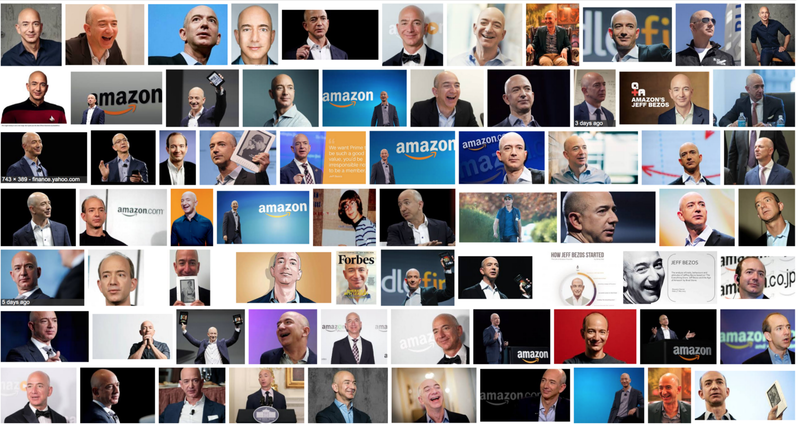 Amazon appears to be one company run well by Jeff Bezos and his direct reports like Andy Jassy — but in reality Amazon has succeeded in building a culture of 100 CEOs — it hires, grooms, develops and builds “General Managers” — there is literally over 100+ of them*. While many companies give GM like titles to their executives, they are often constrained by central planning of some sort. They pay what is known as the corporate strategy tax. At a company like Oracle, I couldn’t price product A if it would impact the profitability and revenue of (cash cow) product B. Every major successful company learns to protect its cash cow — and while this initially helps, often for decades, it eventually turns into a millstone around the neck of every business. Be it mainframes, databases, ERPs, ad revenue, or whatever. Why can’t every company declare 100 CEOs? Companies often talk about agility and the desire to move faster and move decision making to the edge but they are not truly built for it. Amazon’s first foray into books meant when it entered new categories, it appointed GMs for new categories who ran them as businesses. Pretty close to how a brand manager at P&G can make decisions around Tide. But it was the key technological architectural decision of being API driven for every single (micro) service in the company that truly enabled Amazon to be a network of business units — interacting and doing business with each other with clear APIs and rules of engagement. Companies like Google realize this and hence the move to Alphabet, and appointing a clear CEO of Google Cloud (Diane Greene) but its hard to retrofit this model unless you have practiced it and its deeply ingrained in your culture. In some ways, GE was the original conglomerate with many businesses operating under leaders but they are big businesses. Amazon grows BU’s that look like startups from $0 to $100M and sometimes to $1B+ under GM’s that literally start out with nothing more than an idea. Amazon’s database business is one such example. As Amazon, welcomes its one more CEO — Mackey of Whole Foods, its good to remember that he joins a long list of executives at Amazon running billion dollar businesses, and there will be more grown internally, and acquired.